Clawson and Staubes > Attorneys > Bobby Sessoms, Jr.
Bobby attended the University of North Carolina at Wilmington and graduated in 1976 with a Bachelor of Arts degree in History. He subsequently attended the University of South Florida in 1977, pursuing a Master of Arts degree in Criminal Justice. 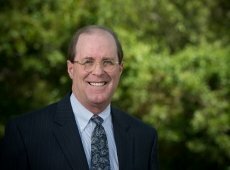 Bobby began the practice of law upon graduation from the University of South Carolina with a Juris Doctor degree in 1980 with a firm he co-founded in Charleston, South Carolina concentrating on criminal defense and personal injury cases. In 1985, Bobby became the Deputy Public Defender for Charleston County, South Carolina and tried many major felony cases. From 1987 to August 2012, Bobby was a claims attorney for State Farm Insurance Companies involved in major litigation, coverage questions, and training. Bobby has taught numerous classes in business law and criminal justice at Trident Technical Institute and has been an invited lecturer at Charleston School of Law. He has also served on the editorial board of two evidentiary publications for the South Carolina Bar Association. Bobby's practice is limited to insurance defense and insurance coverage disputes. Bobby's former experience as an insurance claims attorney and trial attorney allows him to understand the service needs of insurers, offer sound advice regarding dispute resolution and provide aggressive legal representation. Bobby has been happily married to his wife Alison for 36 years or as they say- all of his life. Bobby and Alison have two children, Trey, an associate for a large law firm in Charlotte, North Carolina and Victoria, an Assistant Vice-President for a regional bank in Greensboro, North Carolina. Bobby enjoys playing golf and watching any sporting event involving the University of North Carolina Tar heels.